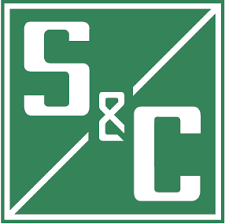 S&C provides solutions for customers worldwide. The company has engineering offices and manufacturing facilities in Chicago, Illinois; Franklin, Wisconsin; Alameda, California; Duvall, Washington; and Orlando Florida. S&C subsidiaries operate in Toronto, Canada; Wales, United Kingdom;Melbourne, Australia; Suzhou, China; and Mexico. Be the leading specialist in electric power switching, protection, and control by creating innovative solutions that are easily applied and provide the best long-term value. Quality design and flawless manufacturing have been central to S&C’s philosophy throughout its nearly 100-year history. Reliability and durability are engineered into every S&C product. Rigorous procedures ensure accurate manufacturing and delivery to the customer. Because of its quality initiatives, S&C is known in its industry as the leader in long-term value. S&C–US received certification to the ISO-9000 standard in 1998. All US operations are certified to ISO-9001:2008. The S&C–Toronto subsidiary was certified to ISO-9001 in 1995 and presently is certified to ISO-9001-2000. S&C’s regional center in Brazil received certification under the ISO-9001 in May 2001. The regional center in China received ISO-9001 certification in 2002. The regional center in Mexico received ISO-9001 certification in 2008. The regional center in Europe received ISO-9001 certification in 2009. Presently, S&C Electric Europe is certified to ISO-9000-2008, and the other regional centers are certified to ISO-9001- 2000. All of S&C’s operations include recognized quality procedures and use feedback mechanisms that identify potential problems so they can be addressed.